COREGAL was successfully presented to Brazilian audience reaching more than 310 viewers in a few days. Click here to watch the youtube video one-hour presentation with Q&A session (Portuguese language). 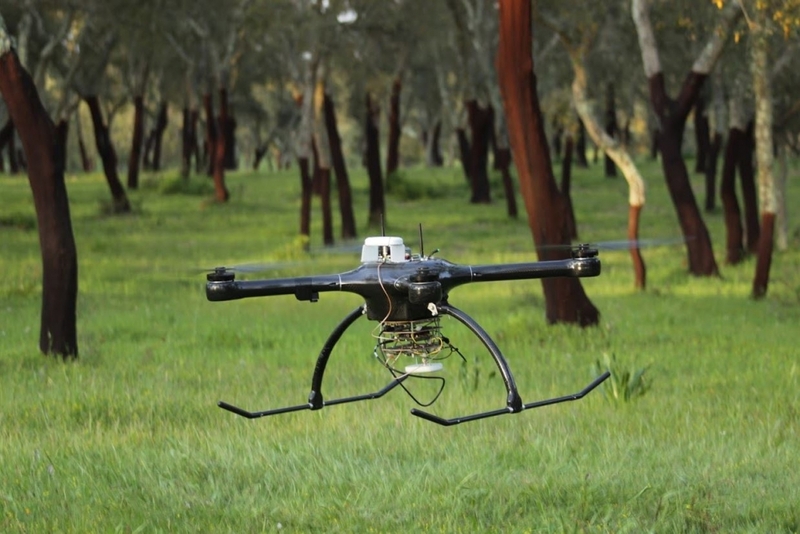 First COREGAL flight trials took place on 28th April near Coruche in Portugal, targeting system integration tests. Next test campaign scheduled for June in the same location. Formal Project KOM took place in Lisbon on the 5th of January 2015. DEIMOS will be at booth 321 in ION GNSS 2015, Tampa Florida. Visit us and learn more about COREGAL. 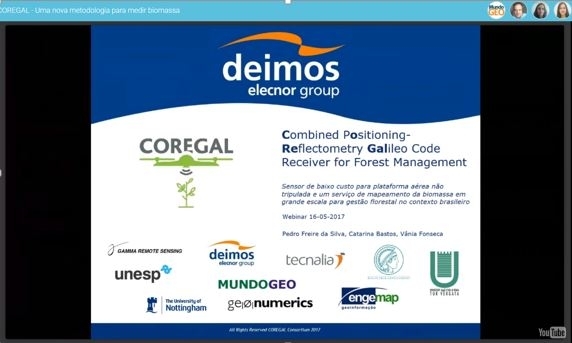 DEIMOS GNSS-R sensor for ocean altimetry will also be presented in session F6, Friday 18, 1:45 -4:55pm "GNSS-Reflectometry Observables with Galileo E5 Signals"